L. 1. 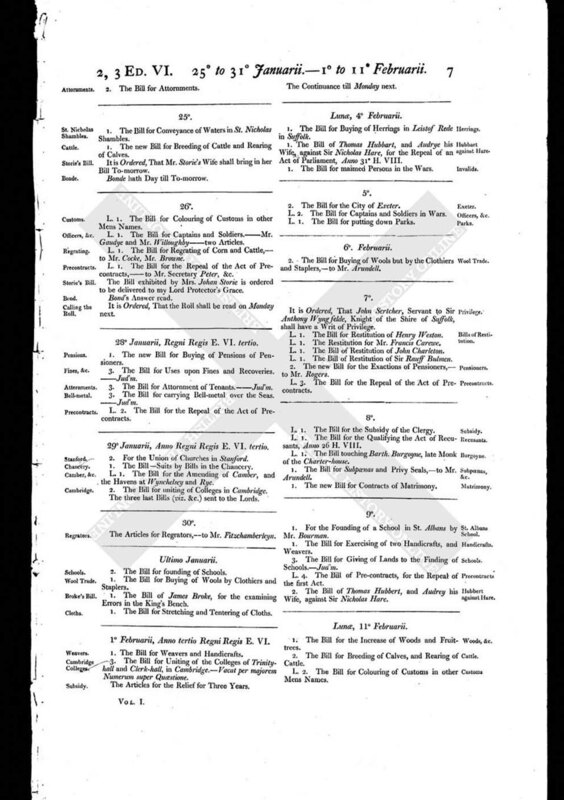 The Bill for the Subsidy of the Clergy. L. 1. The Bill for the Qualifying the Act of Recusants, Anno 26 H. VIII. L. 1. The Bill touching Barth. Burgoyne, late Monk of the Charter-house. 1. The Bill for Subpoenas and Privy Seals, - to Mr. Arundell. 1. The new Bill for Contracts of Matrimony.